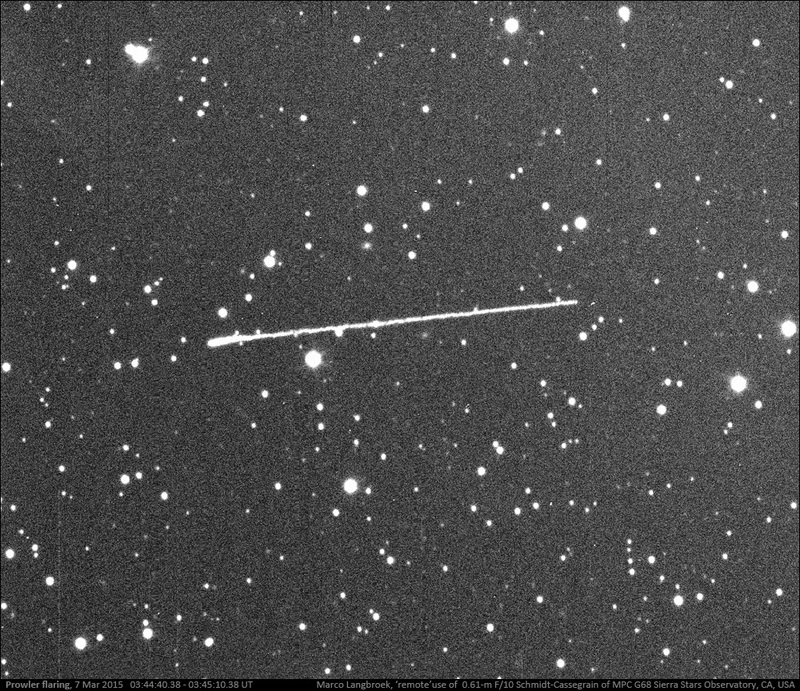 On June 10 of last year (2014) I captured a brief bright flare of Prowler (1990-097E) when imaging it 'remote' with the 0.61-m Schmidt-Cassegrain of MPC G68 Sierra Stars Observatory in California, USA. 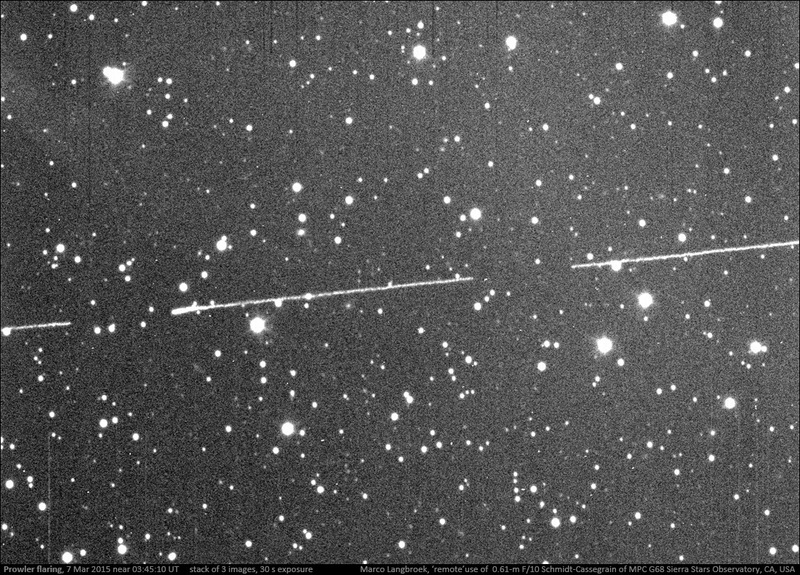 These brief specular flares are superimposed on what seems to be another, very slow periodicity in brightness. Prowler itself is a very interesting, enigmatic object. It was a clandestine launch from Space Shuttle STS-38 in 1990 and long existed in the realm of rumours only. It was a top secret experimental satellite with stealth characteristics, meant to make close inspections of third party satellites in GEO orbit. I have written an extensive in-depth post on the story of Prowler before which you can read here.